Dress in the sleek style of the 12th Doctor! 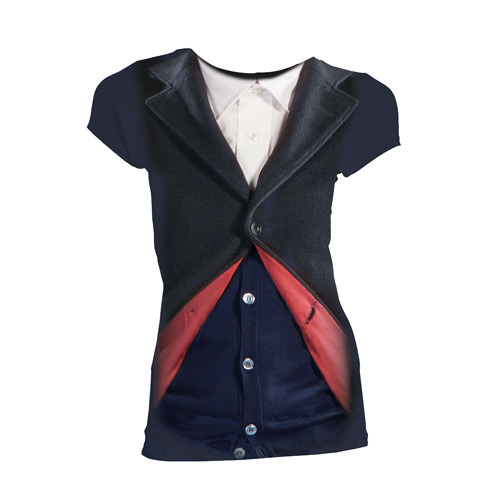 This Doctor Who 12th Doctor Costume T-Shirt captures the Time Lord's look in a printed design of the navy blue ensemble, including the red underside of his jacket. A perfect addition to an Whovian or Time Lord's closet.